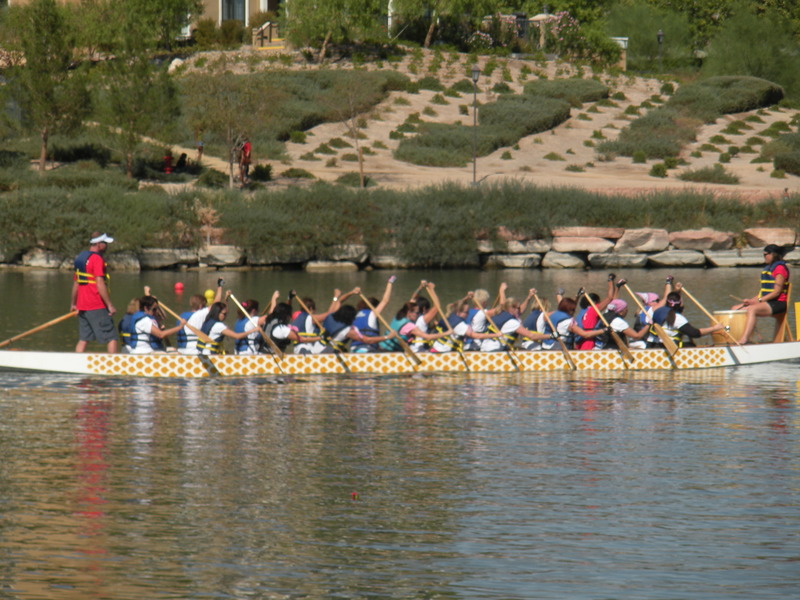 Today was the 2nd Annual Rose Regatta Dragon Boat Festival at Lake Las Vegas to benefit breast cancer services for uninsured women and men at St. Rose Dominican Hospitals. Sixty teams competed this year. While many were from right here in Southern Nevada, there were a fair number of club teams from throughout North America — California, Colorado, Oregon, Washingon, Pennsylvania, British Columbia and Ontario. 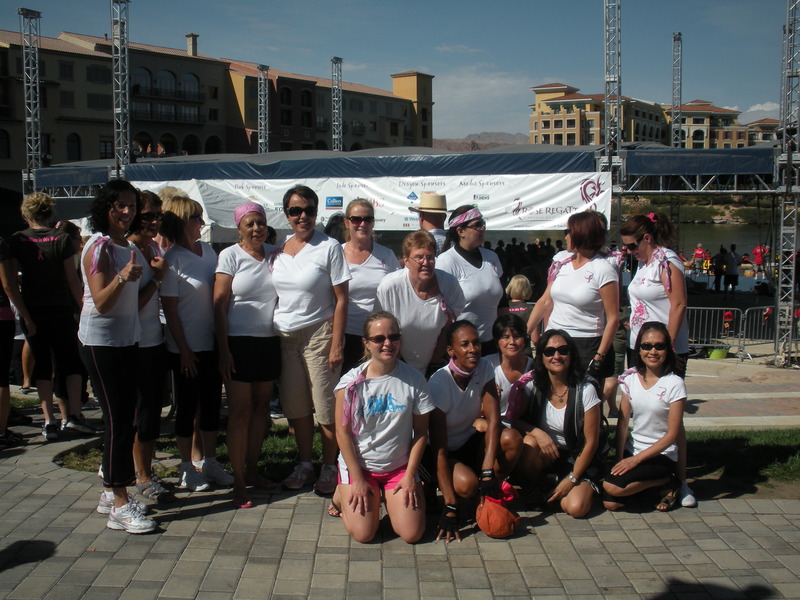 Nine teams were comprised of breast cancer survivors. Many teams had creative names, such as Save the Bobbies, Dragon Slayers and Abreast in a Boat. In case you don’t know much abut dragon boat racing, it originated in ancient China and is one of the fast-growing water sports in the world. 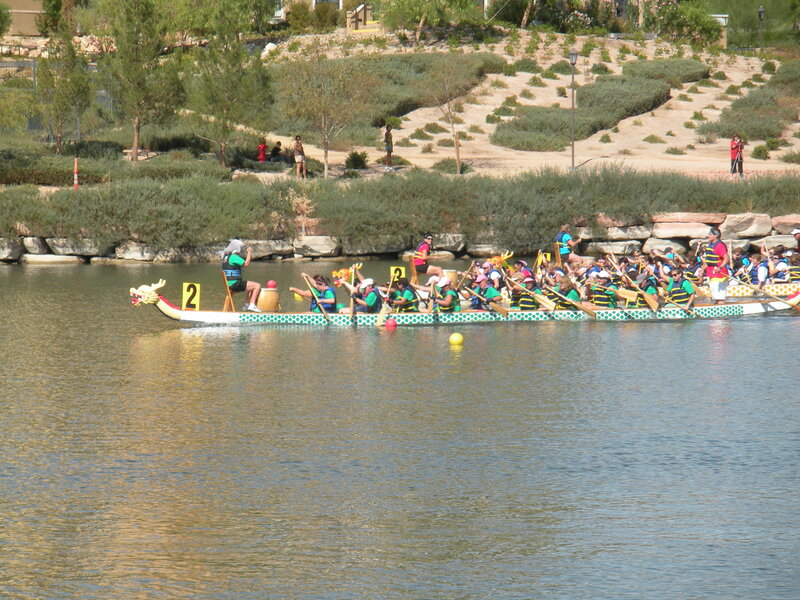 Dragon boats are basically long canoes decorated with fancy Chinese designs. Each team has about 20 paddlers plus a drummer (who keeps the pace) and a steerperson. Today we raced a distance of 250 meters. I was a member of Team Huffn’ and Puffn’, which competed in the Local Women’s Division. That’s me on the bottom left. We had a tough time keeping in sync on our first race, but somehow we managed to defeat Stop the War In Our Racks to win our heat. This gave us an inside lane for the finals with 4 teams, which ended up in a near-photo finish. 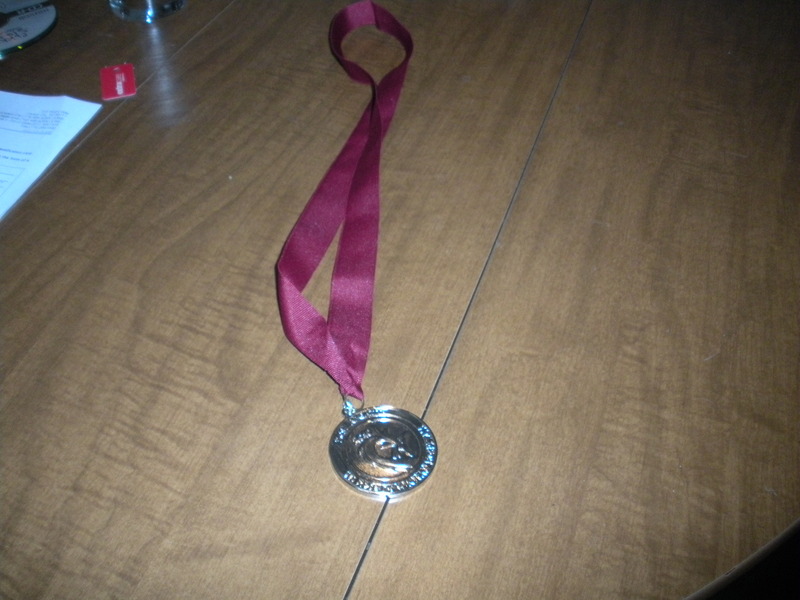 Team Huffn’ and Puffn’ took home the silver medal in our division, losing by 2 seconds to the Bosom Buddies. Watch out for us to make a comeback in 2011. 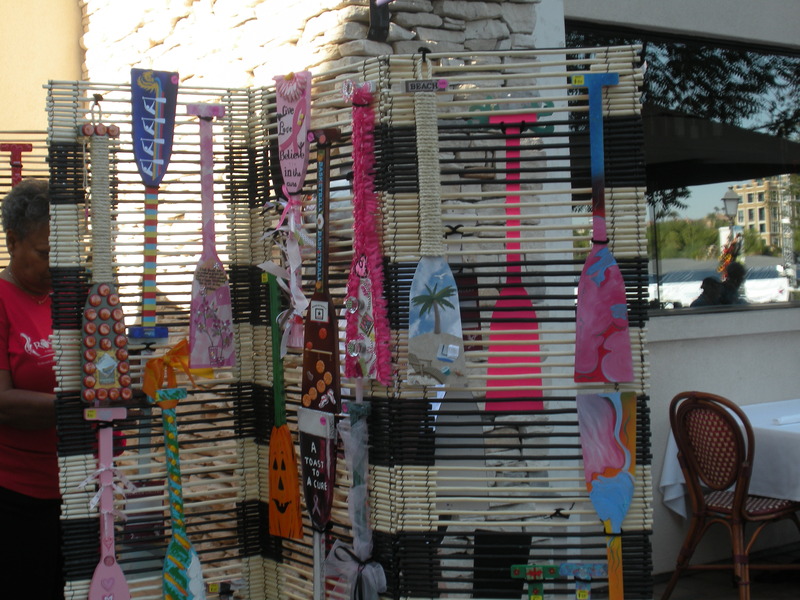 The gallery of painted paddles, created by a number of artists, and for sale to benefit the R.E.D. Rose Program. We were too late to purchase the cool paddle created by New Belgium Brewing Company on the upper left. 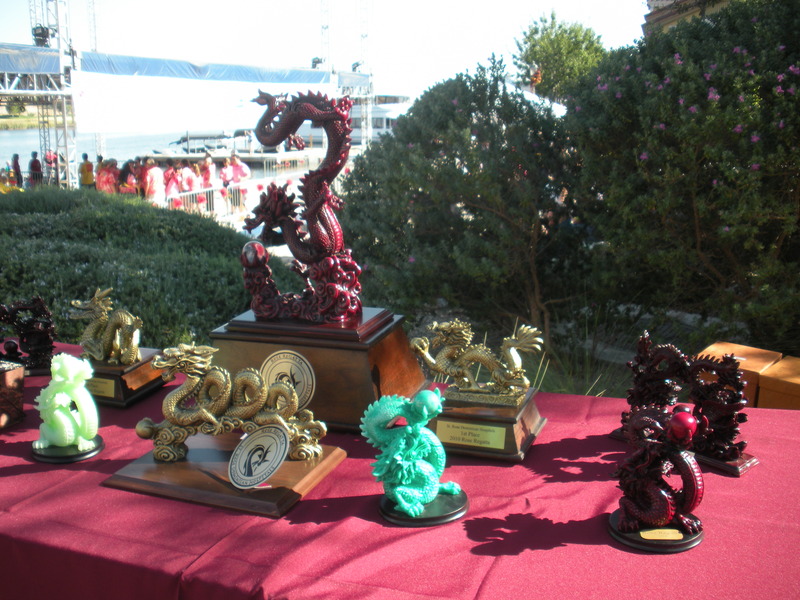 The cool trophies the captains of the winning teams got to take home. 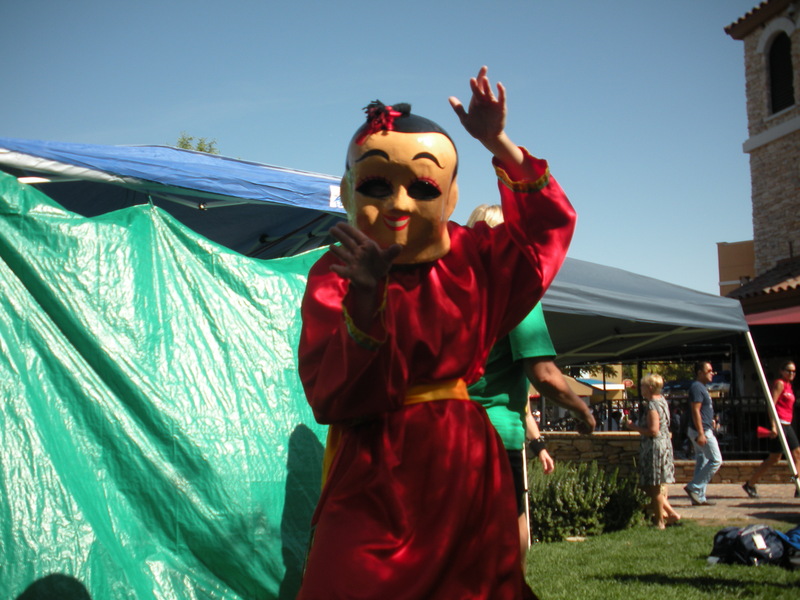 The Dance of the Lyon was part of the entertainment schedule of the main stage. A photo opp not to be missed. 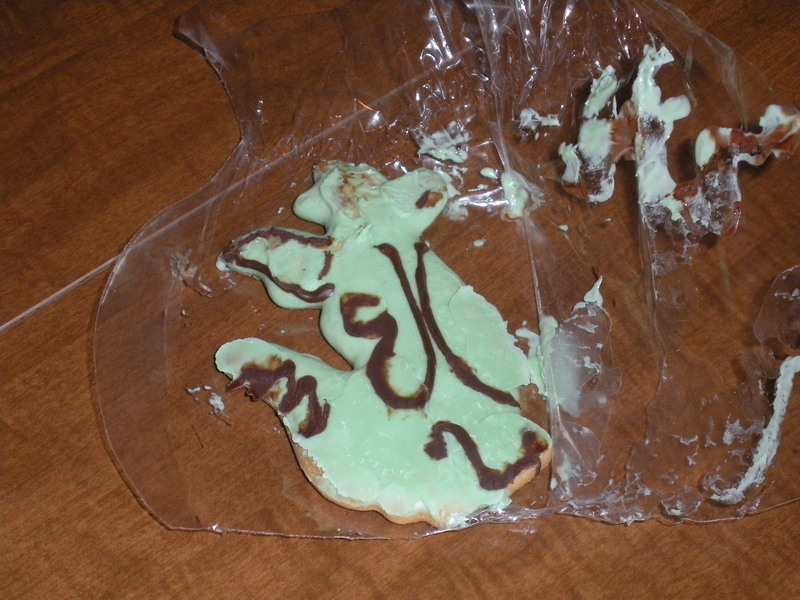 These dragon cookies were almost too cute to eat, but I was hungry after the races! 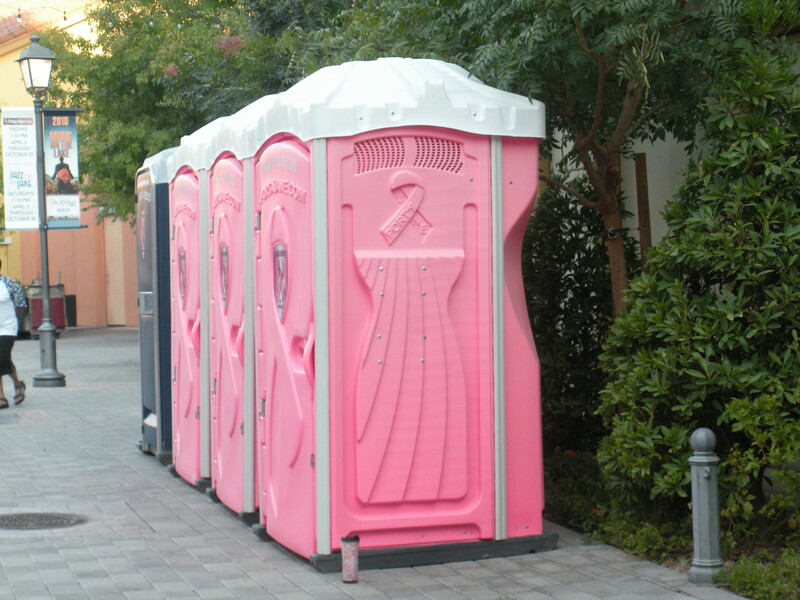 They even had breast cancer awareness toilets, also known as Porta-Janes. 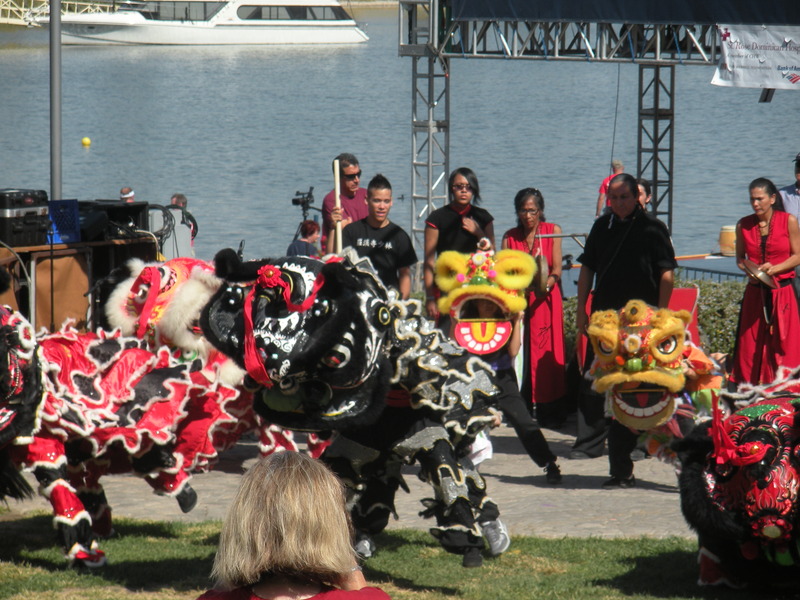 This entry was posted in Becky's Adventures, Healthy Living, Las Vegas and tagged breast cancer awareness, dragon boat festivals, dragon boat racing, fundraisers, Las Vegas. Bookmark the permalink.